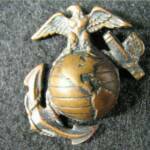 USMC EGA pin: Hat size EGA. Nice patina. WW2. Screwback broken off and missing. 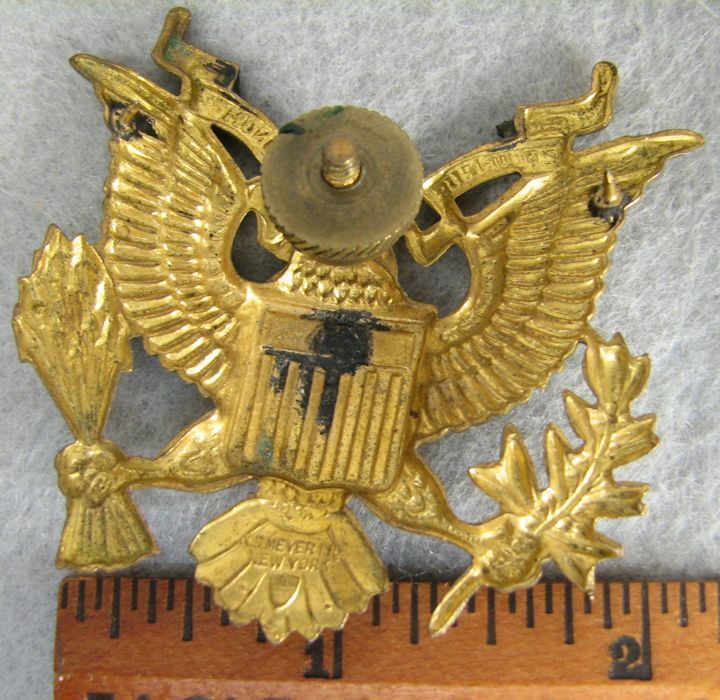 GAR Medal Top Pin: This is the top piece from a Civil War GAR medal. 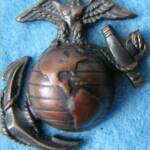 It is hallmarked on the back. 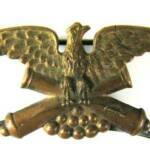 Good Conduct Medal: Pendant only. Two to choose from. Both are well worn and un-named. 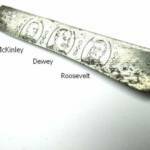 Early 1900's Patriotic Razor: Etched with images of President McKinley, Admiral Dewey and Colonel Teddy Roosevelt. I believe the handle is horn. 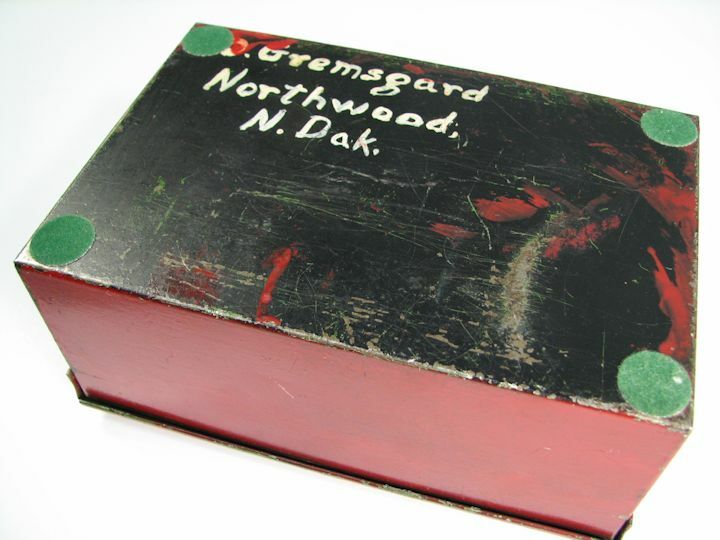 The box is a George Wostenholm & Son's IXL coffin shape. The razor was made by H.C. Wentworth & Son, Germany. It was well used as evidenced by the sharpening of the blade. There is rust. It has not been cleaned and is as found. 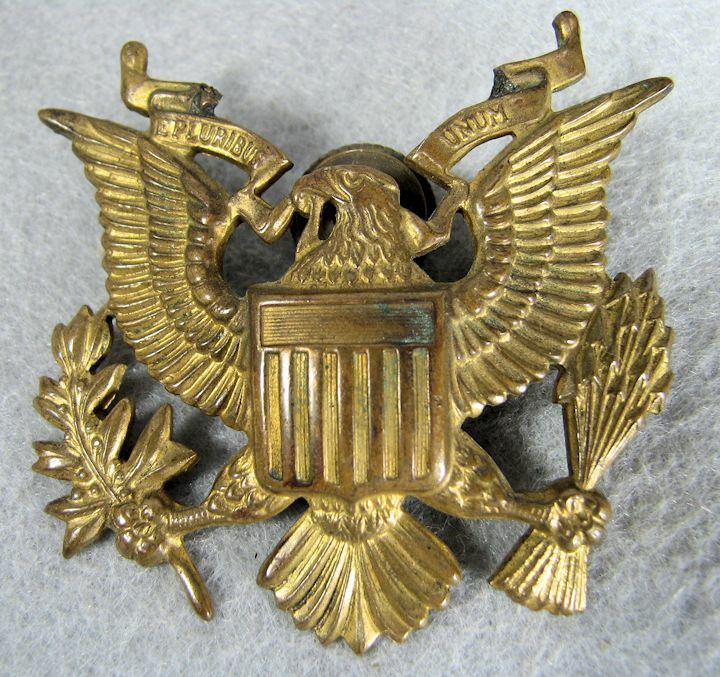 President McKinley, Admiral Dewey and Colonel Teddy Roosevelt..
WW2 Hat Size EGA: This was a nice EGA but the stud broke off. EGA has some bending but not bad. 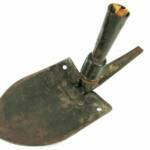 AMES 1965 ET HEAD: Broken handle on this Vietnam War, 1965 dated Entrenching Tool. AMERICAN HOSPITAL ASSN. 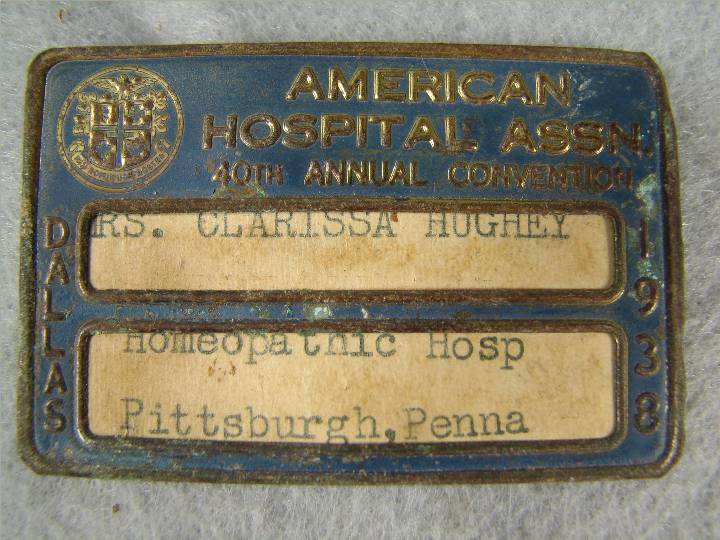 ANNUAL CONVENTION BADGE: Issued to Mrs. Clarissa Hughey. 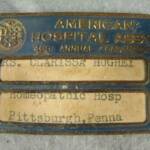 Pittsburgh, PA. Maker marked ADCRAFT, Chicago. Pin is missing from the back. It is a relic. 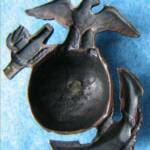 CIVIL WAR RELICS: There are two spent, distorted bullets and a section of an exploding cannon ball. It is hard to see in the photos but the cannon ball piece has curvature to it so you can tell it was round and also that is was hollow. The thickness of the wall is 1". HAT BADGE MADE BY N.S. 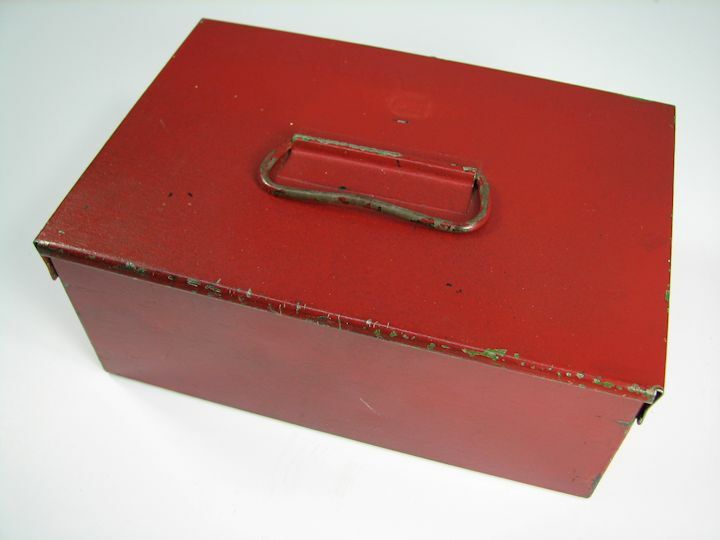 MEYER: It is a screwback with the nut. Hallmarked on the back of the tail feathers. This originally had a banner or arc across the top but it has been removed. Reason unknown. Selling now as a relic. 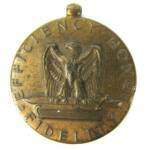 SPANISH-AMERICAN WAR VETERAN'S MEMBERSHIP MEDAL: This is the smaller, miniature sized medal. The top pin piece is missing; just the ribbon and lower pendant is available. 1898-1902. 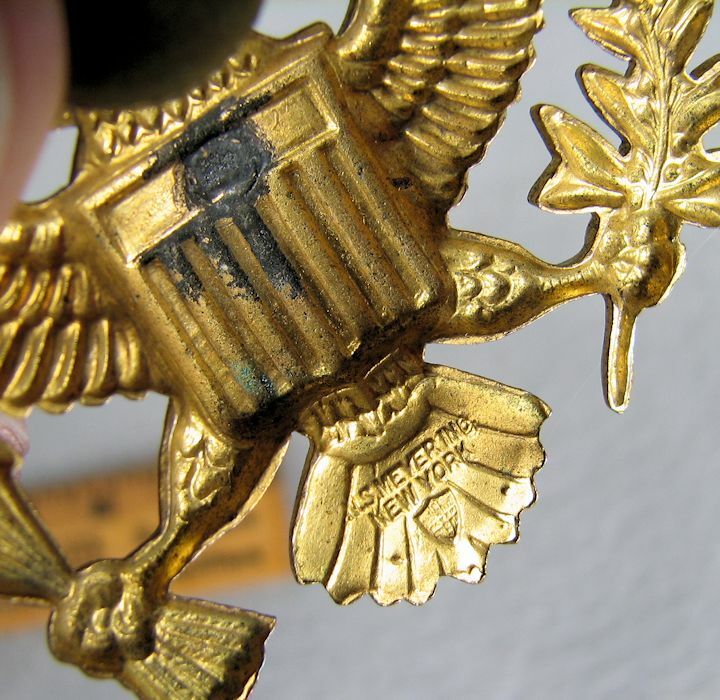 FEDERAL EAGLE HAT DEVICE: I am unsure of how old this is. It looks like a "dug up" and looks like a Civil War Federal Eagle. However, it was a screwback which now has most of the threaded stud broken off. It also has anti-rotation pins on the wing tips like most hat badges do. Measures about 3-1/2" X 2-1/2". Neat piece. 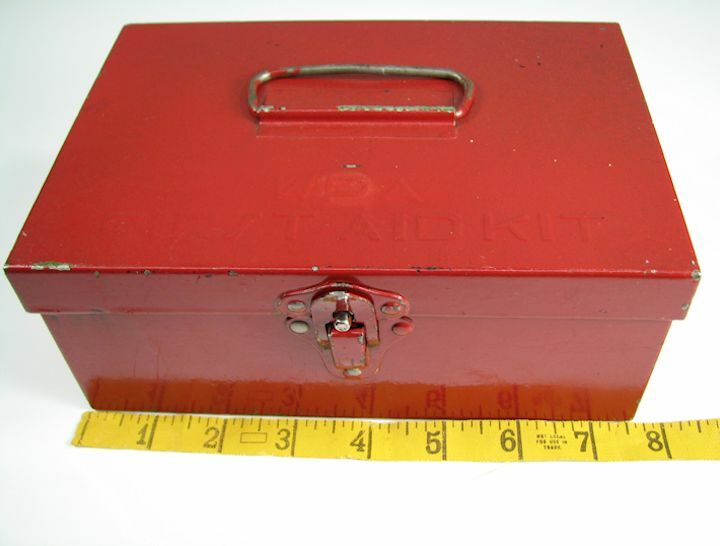 WPA FIRST AID KIT BOX, ID'd: This box was originally a First Aid Kit in use by the WPA. 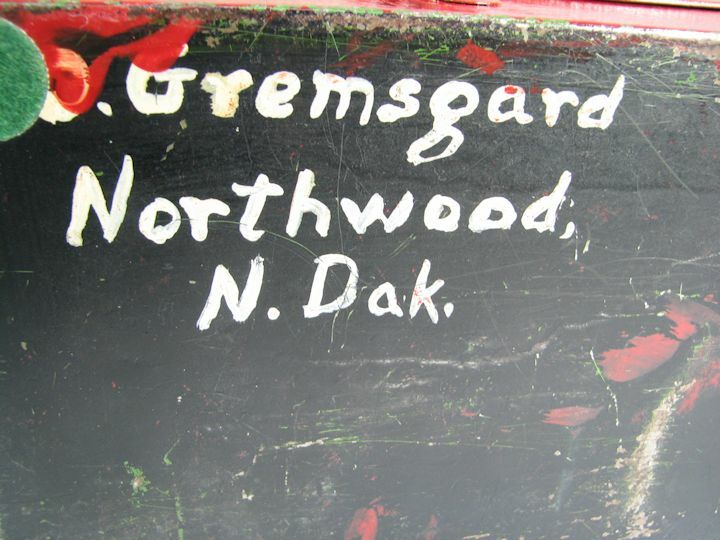 It is ID'd to Ole Gremsgard, North Dakota. 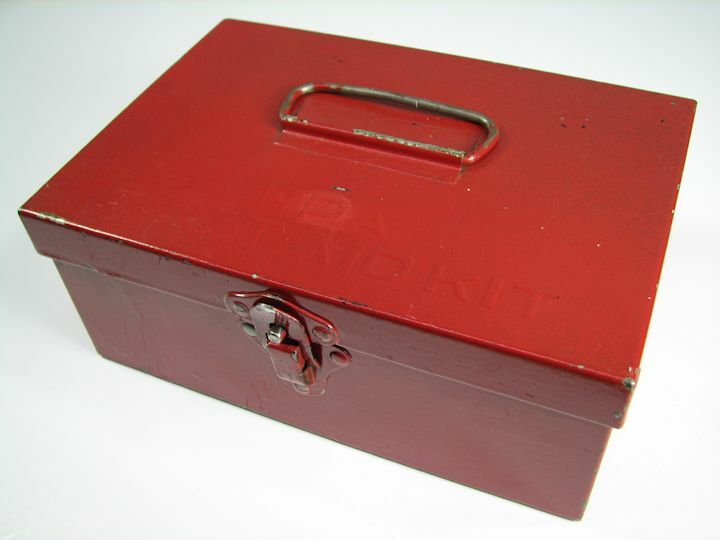 There was a lot of WPA road projects in that area during the depression and Ole either worked with the WPA or came across this box in another manner. Ole died in 1948 and he is buried in Northwood, N. Dakota. I will include a little information on when he was born etc. with the box. 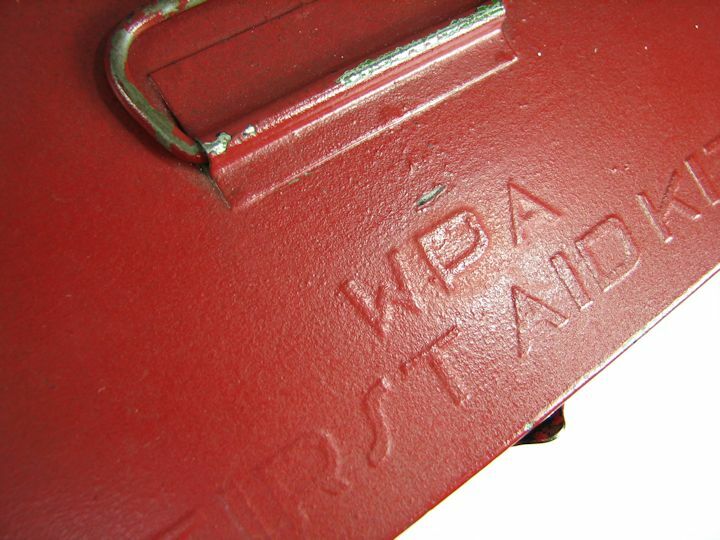 Unfortunately the WPA FIRST AID KIT box has been painted red and Ole painted his name on the bottom. It measures about 7-1/2" wide, 5-1/4" deep and 3" high. 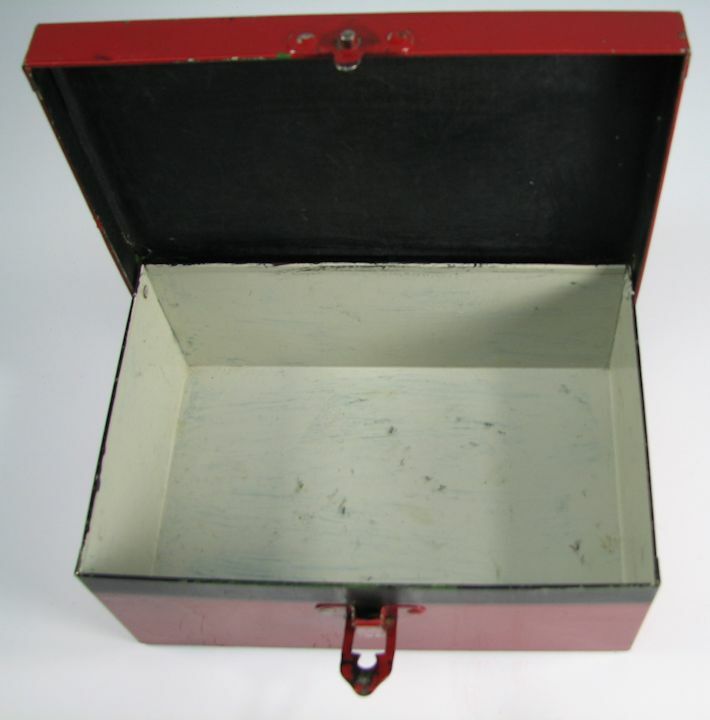 It is empty as shown in the photos. Research on the WPA's activity in North Dakota can be done on the Internet.